The horrific railway crash near Amritsar is a classic case of non-coordination between a state government department and a central government agency. It is also a shoddy display of passing the buck, where no one is prepared to take the responsibility for the slaughter of 70 odd people, mostly migrant labourers, witnessing the slaying of Ravana, near a railway track. In this case, the Railway Board chairman has pulled out the rule book to suggest that those who had spilled on to the railway track were actually trespassers; the Amritsar district administration is saying that the organisers did not inform them and the organisers appear too numb, shaken by the scale of deaths and its repercussions that may follow. Or was it simply the job of the local linesman to alert the train driver about the thousands who had assembled to watch the revelry, which he did not do? An inquiry set up by the state government will throw light on the sequence of events in four weeks time, but we can be sure that apportioning blame on any other government agency, will be answered with a quick denial. 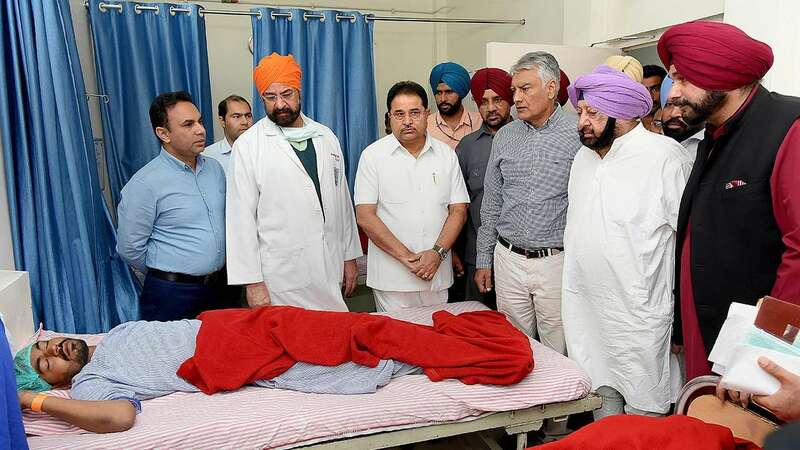 But the one undisputable fact is that the Amritsar accident has raised the possibility of similar tragedies waiting to happen. For one, encroachment on railway land is at an all time high with thousands of people settling down perilously close to the tracks. Just how serious this problem is can be gauged by official Railway Ministry data, which reveals that nearly 50,000 'trespassers’ have perished on the tracks in the last three years. Neither is this problem new. According to the Railways, a total of 861.70 hectares of land has been encroached since 1950 and 1,13,920 cases, according to latest figures, are registered with 16 zonal railway headquarters. As for evicting squatters, despite their best efforts, railway authorities have managed to move out a measly two per cent of such people between 2015-17. Any construction near railway land is governed by the Indian Railways Works Manual and an open space of 30 metres is required between the railway land boundary and the nearest edge of the building. But it is an open secret that permanent structures and shanties have come up along tracks near a majority of railway stations across the country. In such a situation, there is immediate need for upgrading infrastructure. According to a Public Accounts Committee (PAC) report, about 3,455 km of boundary wall costing about Rs 2,796 crore is needed on an urgent basis to protect railway land at vulnerable locations. But no allocation can serve as a substitute for basic lack of coordination between the state and central governments. The infrequent meetings that are held between the two sides, rarely discuss micro issues, focussed as they are on the question of funding. It is only when such a disaster occurs that statistics are reeled out. The money for constructing such a boundary wall will come from the Rashtriya Rail Sanraksha Kosh. There is no clarity, however, on whether this agency has the funds to manage such a big project.